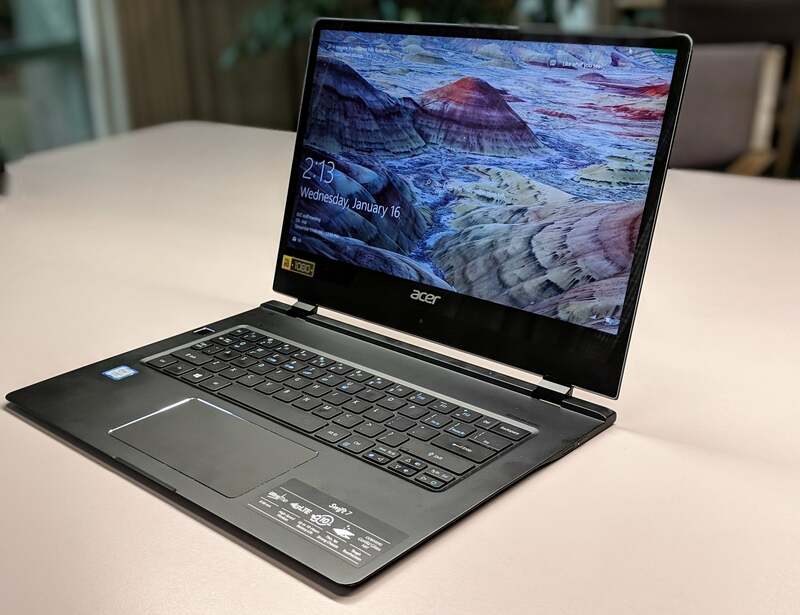 Since Acer is marketing the Swift 7 as the thinnest ultrabook on the market, its measurements naturally attract the eye. The Swift 7 is pleasingly thin but in no way flimsy, as there’s nary a wobble either closed or open, even when fully reclined to perfectly flat. Nor does the display exhibit any flex. 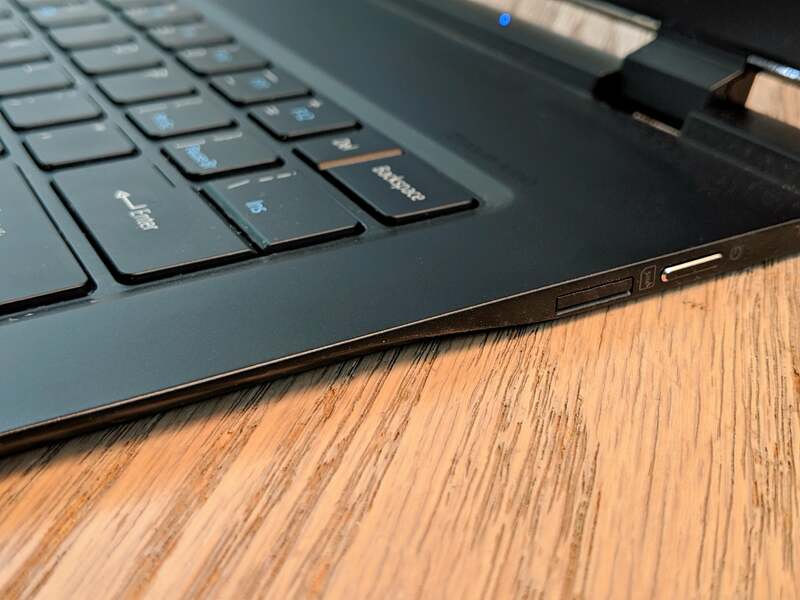 Still, when viewed from the side it’s apparent where the Swift 7’s thinness has limits, as even the thickest portion of the chassis is is unable to accommodate a USB Type A port. Amazingly Asus managed to cram the chassis with a 45 watt-hour battery, not to mention a CPU, motherboard, and SSD. 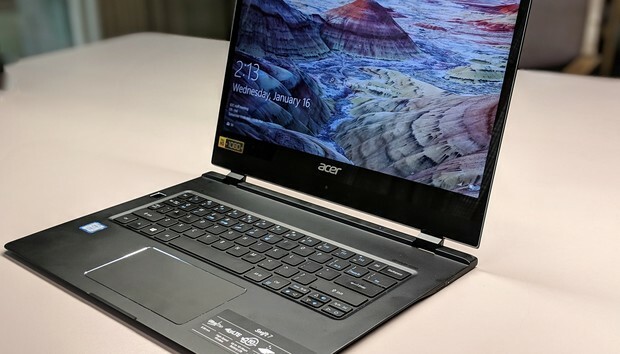 And the design makes it one of the most aesthetically satisfying laptops on the market—until you power on the display, that is. The speakers, on the other hand, are woefully underpowered, enough that you might wonder if you somehow overlooked a setting. Fortunately, the Swift 7 ships with Dolby Audio, which dials up the volume a bit and evens out the sound. Headphones or an external speaker are virtually required though. 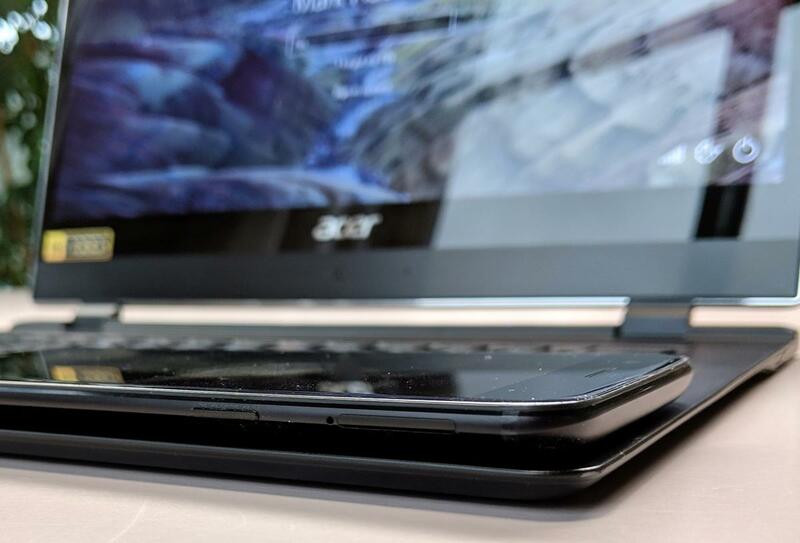 Count the Swift 7 among the new generation of laptops that’s made a wholesale shift to USB-C ports—again, partially driven by the thinness of the Swift 7’s chassis. Neither port is Thunderbolt enabled. There’s a headphone jack alongside these ports, as well. On the other side of the chassis there’s something a bit more interesting: a SIM slot. 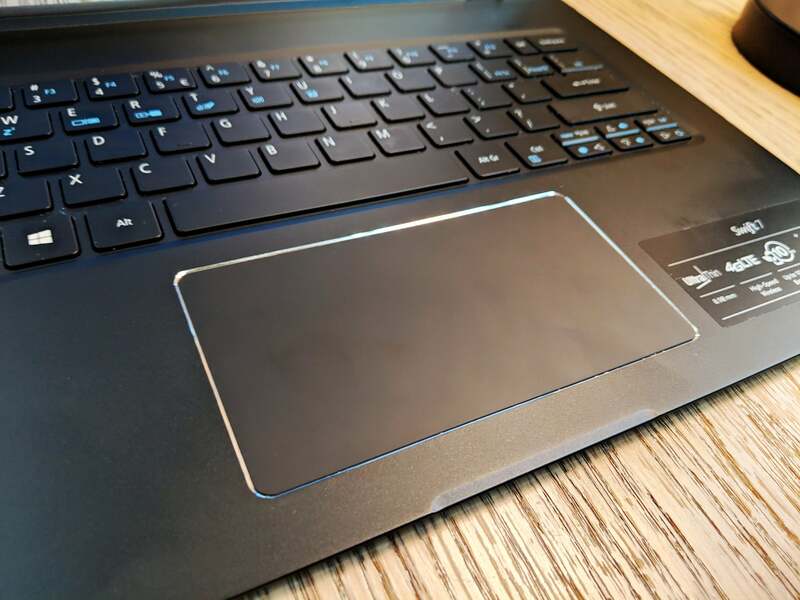 The Swift 7 is a “connected” PC, with both Wi-Fi and an optional cellular connection to allow you to work on the road. 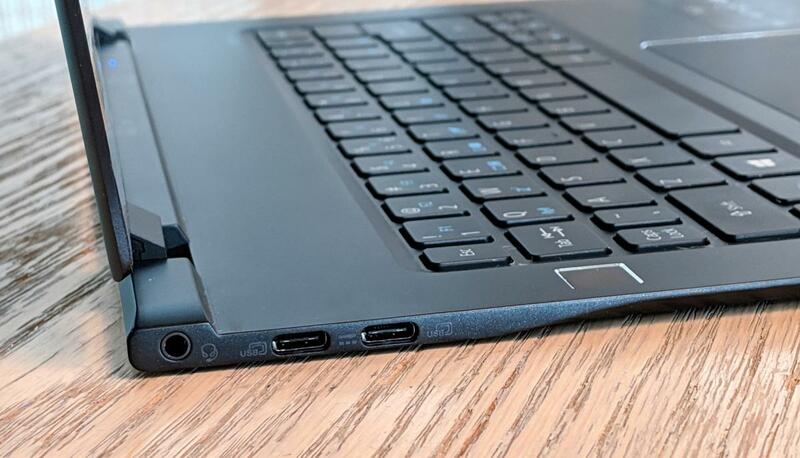 You won’t find any microSD or even miniDisplayPort I/O here; if you want to connect to an external display, you’ll have to invest in a USB-C hub of some sort. 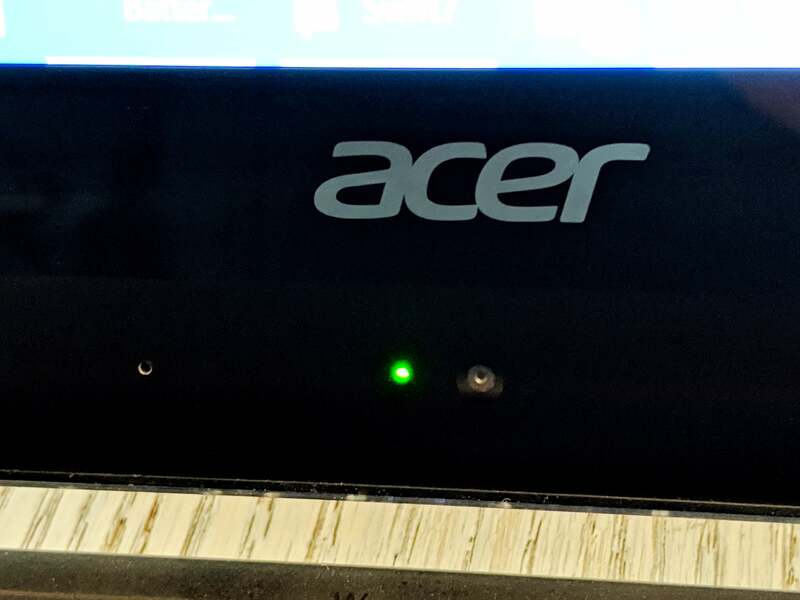 As noted, the Acer Swift 7 is a connected PC, meaning you’ll be able to use it at home or in the office using its built-in Wi-Fi connection, as well as on-the-go via cellular data. 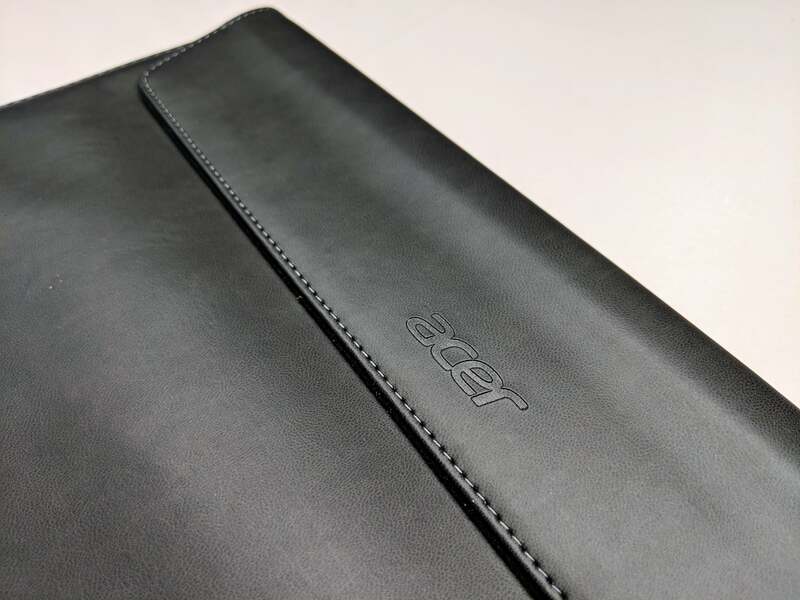 The Swift 7 includes both eSIM as well as an actual SIM card tray, and Acer includes a one-month, 1GB trial through a third-party wireless ISP, Ubigi. While I wasn’t able to test the Ubigi service—this review was put on hold for the holidays, and the trial expired—setting up a physical SIM was simple enough. 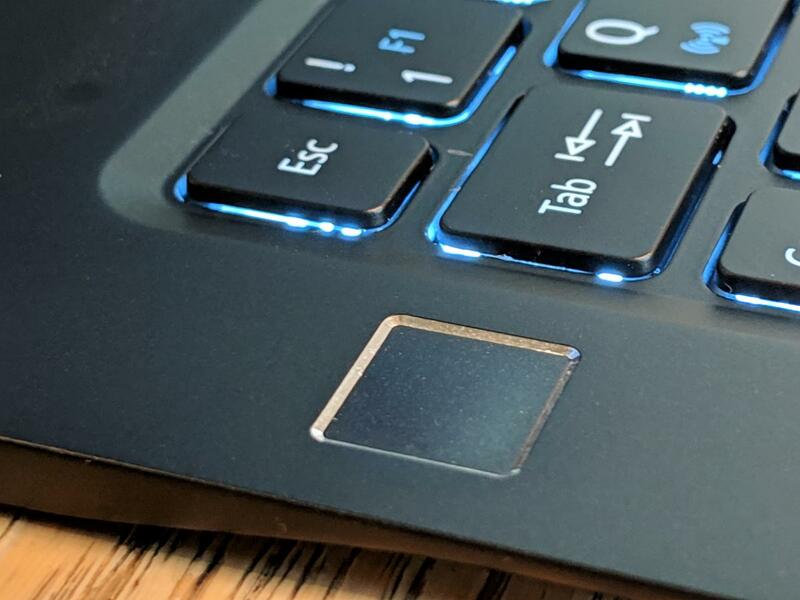 In fact, the SIM tray on the Swift 7 doesn’t use a typical SIM ejector pin, but includes a small indentation in which to hook a fingernail and pull out, which I found much, much easier to use. Windows was smart enough to recognize the new SIM and configure itself, and I was up and running within seconds. Cellular performance will vary due to a variety of factors—the carrier, the proximity to a cellular tower, network congestion, and the like—but a quick speed-test comparison between my older OnePlus 5 and the Acer Swift 7 showed the Swift 7 recording download speeds a few times faster than my phone, using the same T-Mobile SIM swapped between devices in the same location. Obviously, an integrated SIM doesn’t preclude you from tethering your phone, either. We noticed that the Swift 7 tended to power-throttle itself, too, restricting performance further. The Swift 7 (2018) also significantly warmed up during large file transfers, especially during a large Windows rollup update where the SSD was being stressed. But the laptop remained relatively cool during a computationally-intensive benchmark like Handbrake, and also when using it on a daily basis. 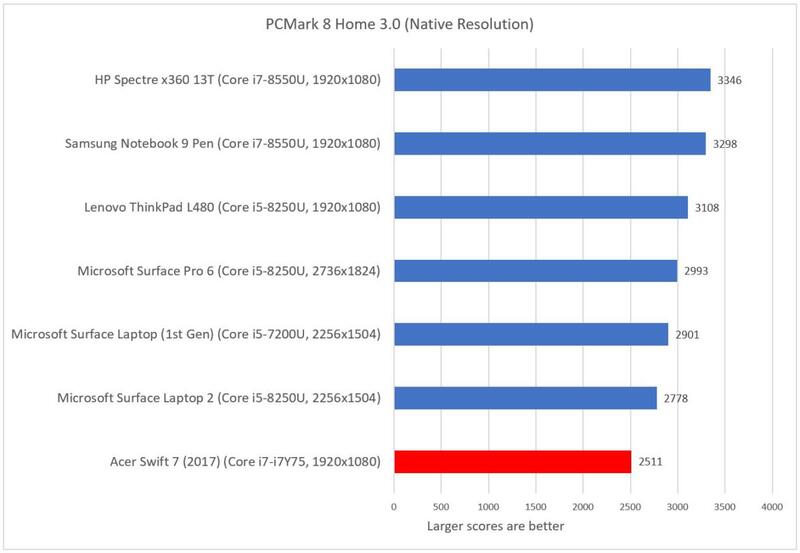 All of this is somewhat academic, as the Swift 7 still underperformed a mix of competing laptops, all priced somewhat north of $1,000. 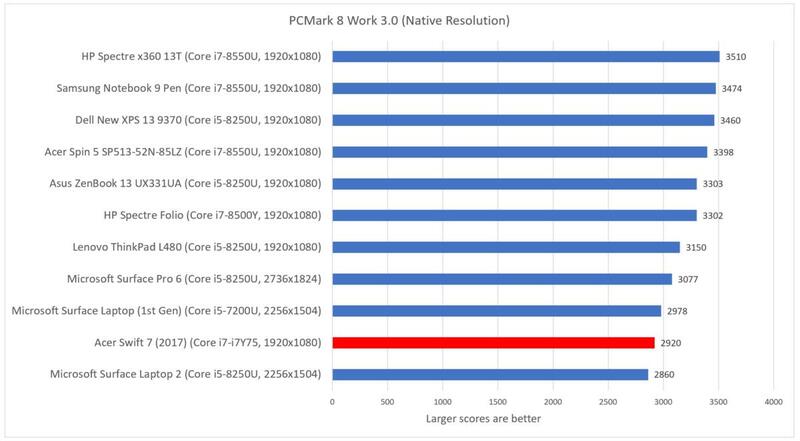 That includes the recent HP Spectre Folio, which is also powered by a Y-series processor. 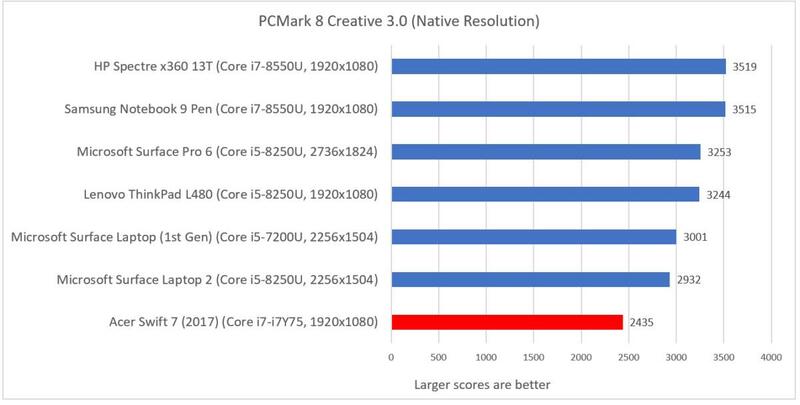 Don’t buy the Swift 7 to play games, either. 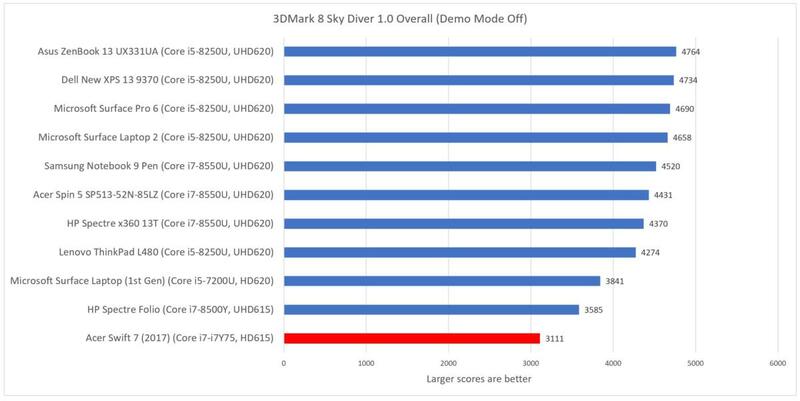 We use the 3DMark “Sky Diver” test as an indicator of 3D performance, and again the Swift 7 finished well down the pack. 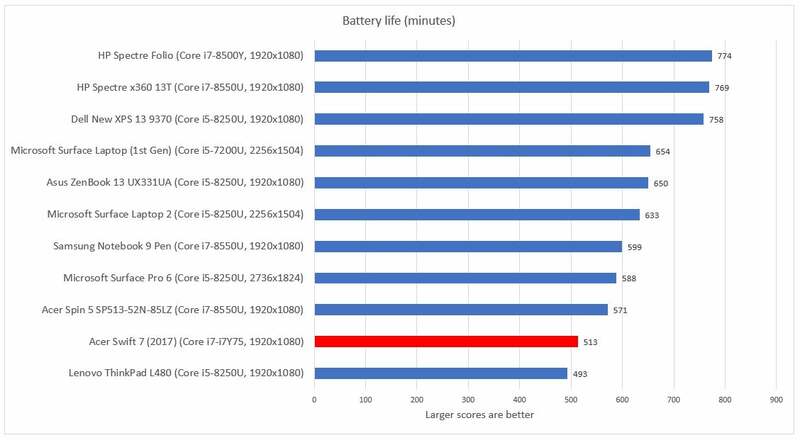 Unfortunately, the Swift 7’s thin chassis doesn’t allow much room for a battery, and the 33 watt-hours that it can generate on a full charge is well below the forty- and even fifty-odd watt-hours of the competition. Battery life therefore suffers, though in all fairness about eight hours or so suffices for close to an all-day work experience. Our rundown test loops a 4K video over and over until the battery expires, however, and doesn’t measure the ebb and flow of a day’s work. It’s worth noting that turning on Dolby Audio—which, as we noted above, improves the sound quality—appeared to steal possibly 45 minutes of battery life. We tested, as we usually do, using a pair of earbuds with Dolby Audio turned off. There’s enough volume that Dolby isn’t necessary except to enhance the sound. 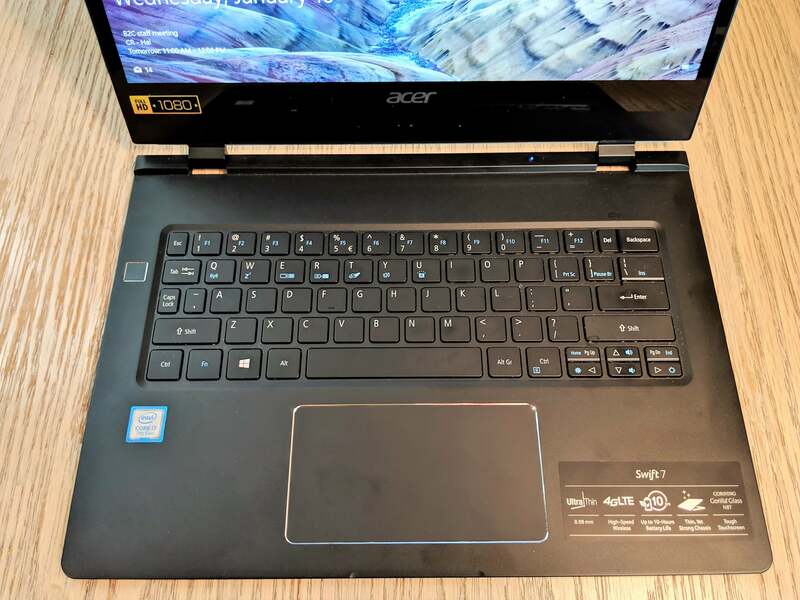 Because of a number of delays, our review of the Swift 7 (2018) arrives after we’ve already seen the Swift 7 (2019), thanks to Acer’s booth at CES. And we’re enthusiastic: not only is it lighter, but the bezel has nearly disappeared, the USB-C ports now include Thunderbolt capabilities, and—hallelujah!—the touchpad is now a true “clickpad”. There’s an 8th-generation Core processor, too, which hopefully should bring the performance of the Swift 7 up to par with its competition. In all, it sounds like a substantial improvement. 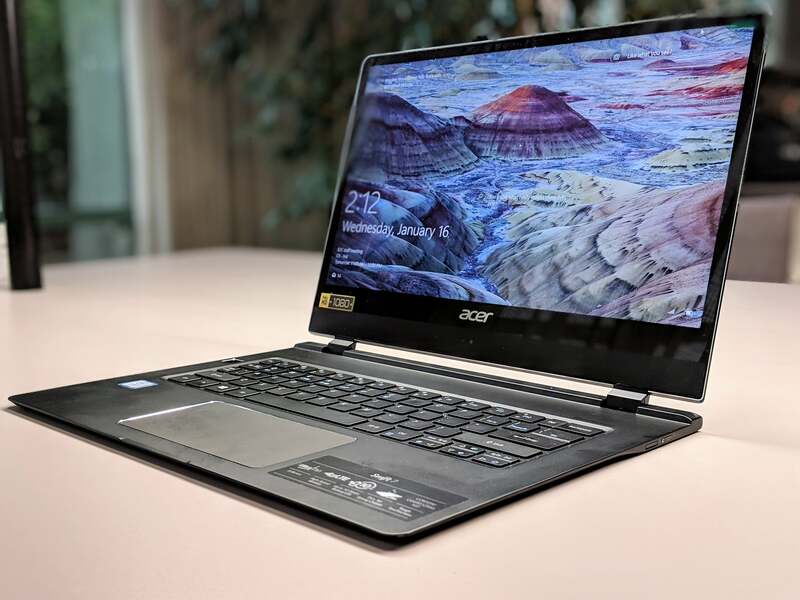 Fortunately, it’s only a few months until Acer ships an improved version of the Swift 7.